How much do you think you've got the adventure bug in you? 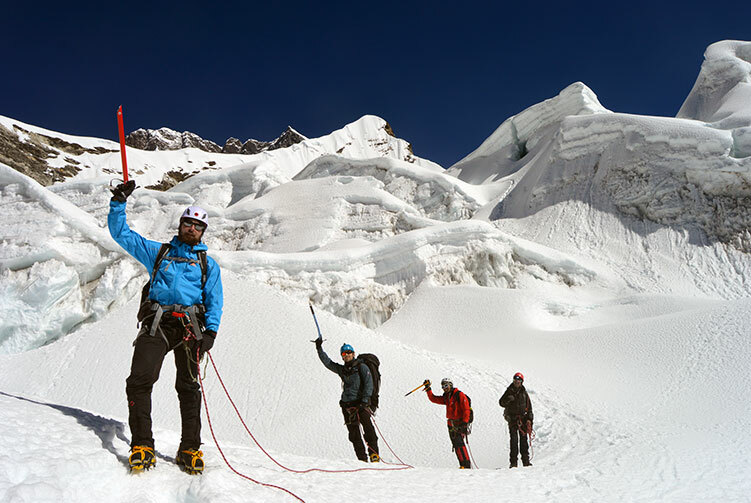 Is it adventurous enough to take you on an adventure to cross three high Himalayan passes and eventually climb a 6,000 meters peak? 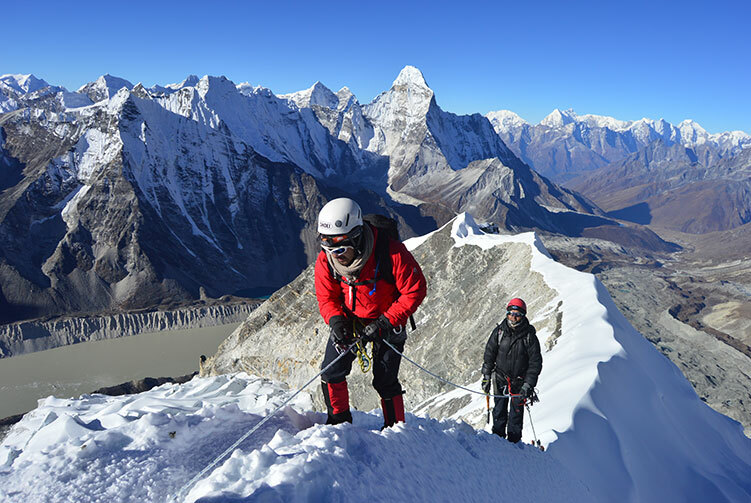 Ask your adventure bug once and if it says yes, then it's time to think about and go for the Everest Three High Passes Trek with Island Peak Climbing adventure. 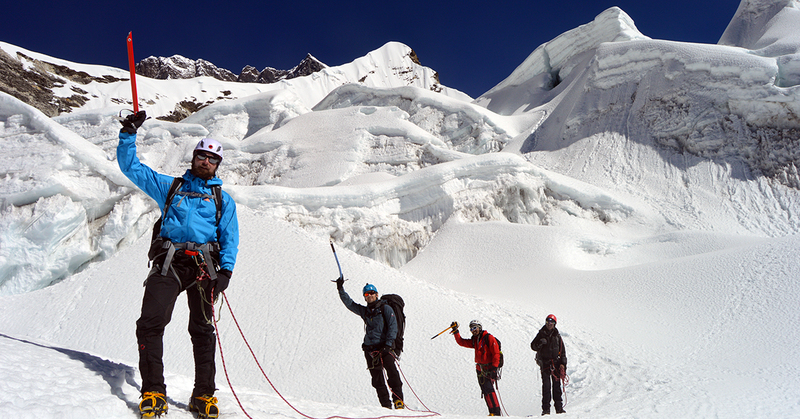 This adventure truly tastes your endurance with so many Himalayan challenges along the trip. The more challenging, the more exciting a trip is and so is with this trip too. 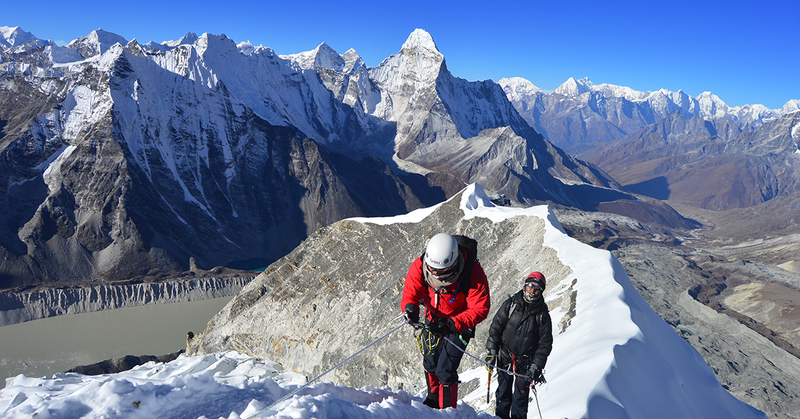 This trip is an entire exploration of the Everest Khumbu region that brings the most comprehensive experience of adventure travelling in the Everest region. 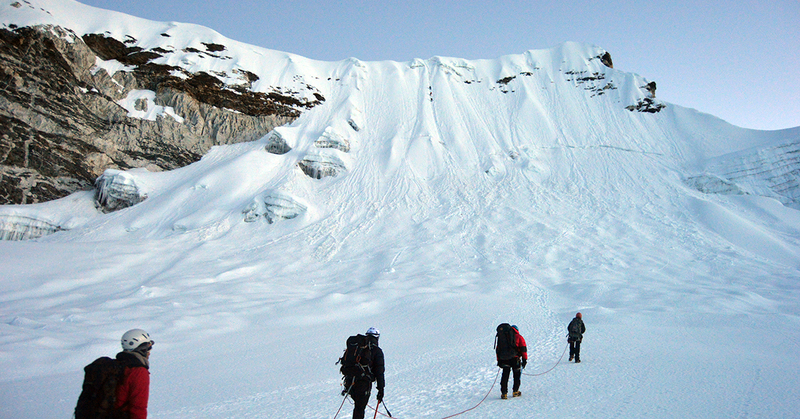 You will go through so much of wonders before climbing the Island Peak that will surprise you at every step. 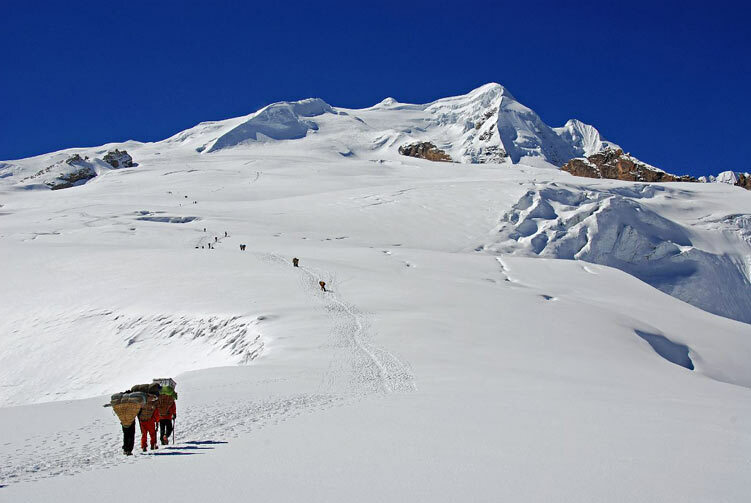 The trekking over three mountain passes over 5,000 meters, the highest being 5,535m, is, in itself, a great challenge for a mulitiple days trekking at high altitude. On top of the three high passes, you have hiking to Gokyo Ri, Kalapatthar and Everest Base Camp, all above 5,000 meters from sea level. 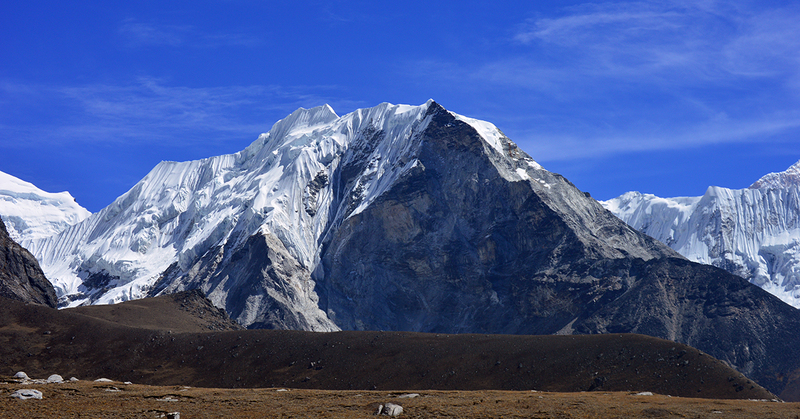 After spending so many days above 5,000 meters from sea level, you head towards Island peak to summit this 6,189 meters mountain. It's a combination of multiple Himalayan challenges that takes a rigorous test of the endurance of your adventure bug. Are you really up for this or is your adventure bug ready for this adventure of life time? If you answer yes, then come; join this wonderful trekking and climbing adventure and make a memorable adventure time of your life. The above Trip Itinerary is a guideline and standard pattern. This Trip can be modified according to your time and requirements. Cost & Departures Dates of the trip will change according to your NEED, GROUP SIZE and TIME. The trip Itinerary may be changed after understanding by both agency and client. Additional activities could be added or reduce as per client's request before confirming the trip. Price for reduced activities could be deducted and additional activities could be added as per mutual understanding. 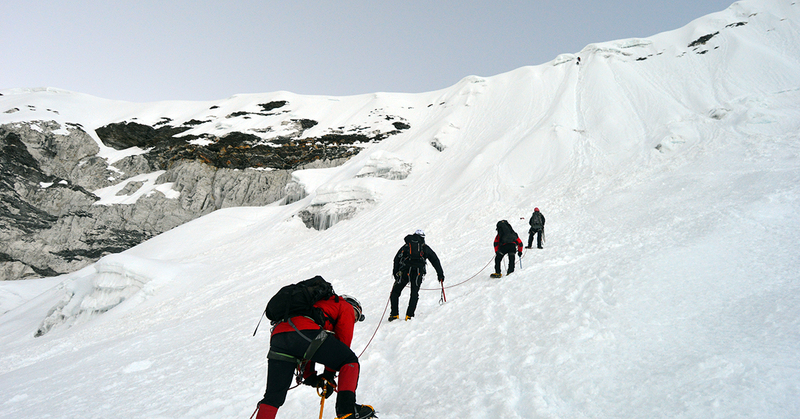 The Trip Cost also affect the number of Mountain Guides, Porters and Services. For these reasons the same Trip can be HIGHER and LOWER Price. 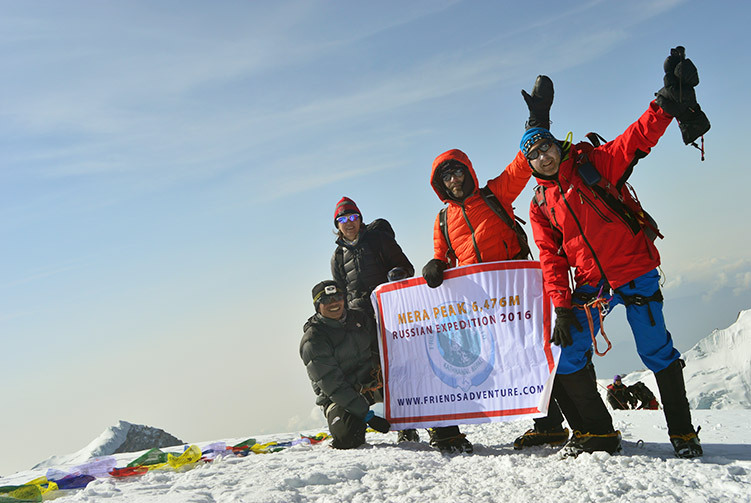 We offer you the best price guaranteed for Island Peak Climbing with Everest 3 High Passes Trek Expedition.